Discussion in 'History & Past Politicians' started by kazenatsu, Feb 14, 2018. In 1911 the U.S. had the chance to support the Xinhai Revolution in China, which aimed at democracy and modernistic reforms. If the new Republic had been able to form in China, led by Sun Yat-sen, it is possible it may have prevented the Japanese occupation of China, the Second World War in the Pacific, and the Communists later coming to power. Sun Yat-sen lacked an adequate army, so was forced to rely on the army of former Imperial General Yuan Shikai. In exchange for military support, Yuan Shikai demanded the Presidency of the new republic. But after being made President he began to further consolidate power for himself. He basically became a dictator, but as a warlord he only held direct control over a fifth of the country from the capital in Beijing. To try to consolidate the rest of the vast area of China he needed money. But the First World War was going on at the time so it was not possible to get a loan from the Western powers in Europe. Yuan Shikai was very unpopular in the rest of China, so to maintain his own power he had to give in to demands by Japan, which gave the Japanese a foothold in China. Sun Yat-sen is still regarded in China as a hero and one of the fathers of modern China, by both mainland China and the Taiwan government. Lot of “ifs” and “maybes” in your thread. The US didn’t have the money or military power to influence China back then - nor did it have the diplomatic connection that the Europeans had in that area. It probably would not have taken a big loan for Sun Yat-sen to have been able to take Beijing. The dynasty in Beijing was imminently going to collapse. Being able to finance a larger army might have put Sun Yat-sen in a position were he would not have had to give in to Yuan Shikai's demand to hand the Presidency over to him. Sun Yat-sen had a small army but it was not big enough to confront the military forces in Beijing. Sun Yat-sen had the support of most of the intellectuals and government administrators on the coast, he had everything except the financing for a bigger army. What goes on in China is and never was the USA's business. The government in Washington DC couldn't even solve the problems in our ghettos or poor farm belt. How the hell then is it supposed to solve foreign problems??? But just look at what it ended up costing the U.S. later. A war in the Pacific (WW2), and the Vietnam and Korean wars. Although I did talk to a Chinese person versed in history who believes the Japanese still would have tried to invade China even if Sun Yat-sen had succeeded in unifying China (although this is debatable). I think perhaps once Japan got a foothold in China through Yuan Shikai caving into the Japanese demands, the Japanese then had a pretext for defending their interests in the region and the conflict escalated. Because various factions were fighting in China, it provided an excellent opportunity for the Japanese to invade. It's true that the warlord Zhang Zuolin actively cooperated to give the Japanese a foothold in Manchuria in 1923, but if the Kuomintang (led by Sun) had not been fighting with the government in Beijing they may have been able to subdue the warlord in Manchuria (or at least impose a one-sided treaty) before the Japanese got more involved. The Beijing government controlled by Yuan Shikai made it difficult for the rest of the country to be unified. That is probably how the Communists were able to establish themselves as a considerable force in the beginning. And of course, once they established themselves it only added another player in the conflict, although Sun Yat-sen did receive help from the Communists. Because no one else would fund him to wage war against the Chinese government at that time, which hijacked the democratic institutions founded after the 1911 revolution. Despite many of his KMT members and foreign countries urging him to work within the institutions and reform from within, he insisted on waging wars against the central government. Only Soviet and Stalin was cunning enough to fund him with money and weapons and military advisers, with their not-so-secret agenda to eventually hijack KMT's armed struggles against Chinese government and turn China to another Communist brother. As part of the deal with the devils, Sun Yat-sen agreed to let Communists join Kuomintang (KMT) as 'individuals' (at that time Communism were just idle pursuit of college intellectuals and more like a book reading club). For example, Zhou En-Lai (the first first PROC premier after 1949) joined KMT at that time as 'individual communist' and served as the director of political education in KMT military academy. Dr. Sun did the deal with the Communists over the protest of his own party members and sewn the seeds for 1949 civil war and the ultimate destruction of democracy in China. If the British and Western powers hadn't invaded, exploited, and under mined China it would have emerged as a power and the Japanese would never have invaded it. That was the real way to prevent WW II in that region. That's only partially true. Perhaps you're not aware of the Spanish-American war and U.S. occupation of the Philippines in 1898. As that video says (14:40 in the video), the U.S. already had naval ships and marines stationed in China's waterways, they just refused to use them to blockade Beijing's harbor. USA was just as imperialistic as Britain. That is what aggravated the instability in China and Asia and caused further war. Yuan Shikai was very unpopular in the rest of China, so to maintain his own power he had to give in to demands by Japan, which gave the Japanese a foothold in China. Sun Yat-sen spent time living in Japan while in exile and he formed a close bond with Miyazaki Toten who inspired Sun and funded his revolutionary movement. Back then, many Chinese intellectuals looked up to Japan as a model to modernize China and fight against Western imperialism. Because of Sun's deep Japanese roots, his KMT party was pro-Japanese just as most Taiwanese are nowadays. Chiang Kai-shek was ready to make peace with Japan but his peace offer was rejected by the fascist government led by Konoe. Japan’s invasion of China allowed Mao to defeat the KMT in the ensuing civil war. Sun Yat-sen spent time living in Japan while in exile and he formed a close bond with Miyazaki Toten who inspired Sun and funded his revolutionary movement. Back then, many Chinese intellectuals looked up to Japan as a model to modernize China and fight against Western imperialism. Because of Sun's deep Japanese roots, his KMT party was pro-Japanese just as most Taiwanese are nowadays. Chiang Kai-shek was ready to make peace with Japan but his peace offer was rejected by the fascist government led by Konoe. Japan’s invasion of China allowed Mao to defeat the KMT in the ensuing civil war. But I'm not so sure about this last part. That's a statement often repeated in historical narratives, but was it actually true? The Communists were in the North and faced most of the fighting from the Japanese, while the KMT was more heavily based in the South. Wouldn't the Japanese invasion, you would think, have therefore given an overall advantage to the KMT ? Considering Stillwell's later assignment, perhaps there was no desire to support Sun. 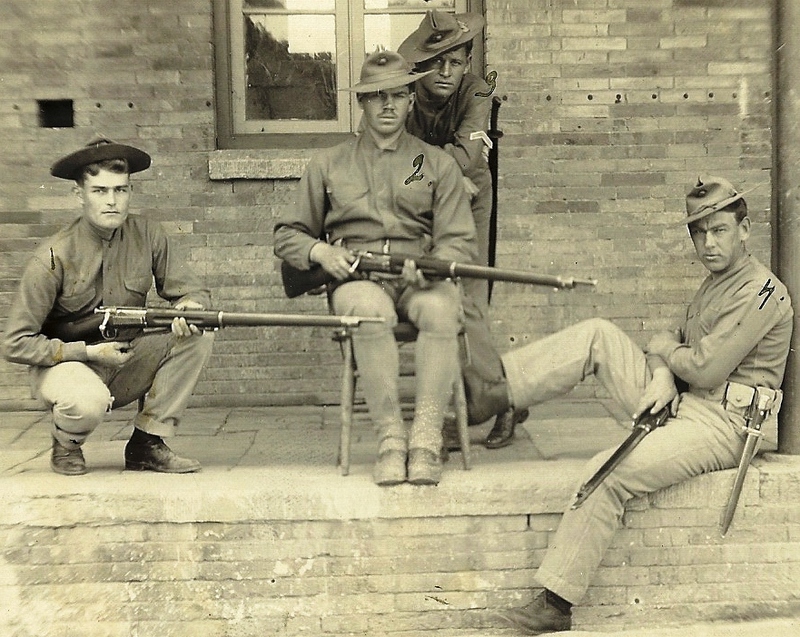 In 1911 the U.S. military presence in China was less than 100 U.S. Marines who's only mission was to protect U.S. citizens. 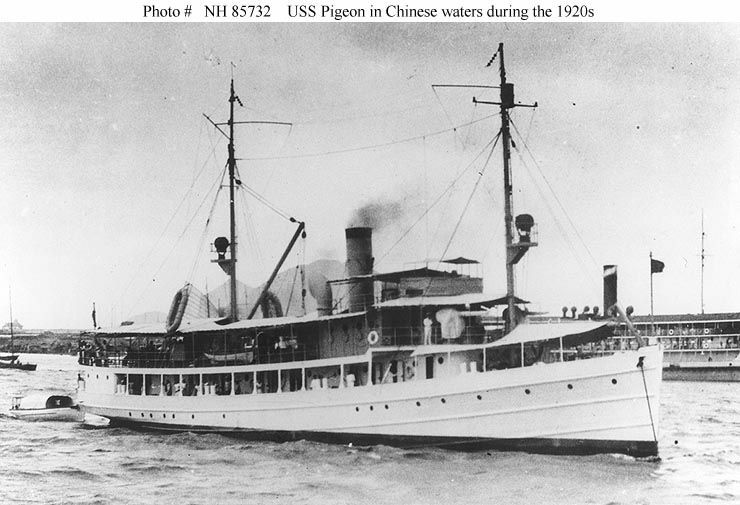 The only U.S.Navy presence on China's inland waterways in 1911 was on the Yangtse River known as the Yangtse Patrol. Just a few Spanish gunboats that were captured during the Spanish-American War. The famous China Marines (4th Marines Reg.) didn't arrive in China until 1924.